Xiaomi and iRobot both have different models in their robotic vacuum ranges. 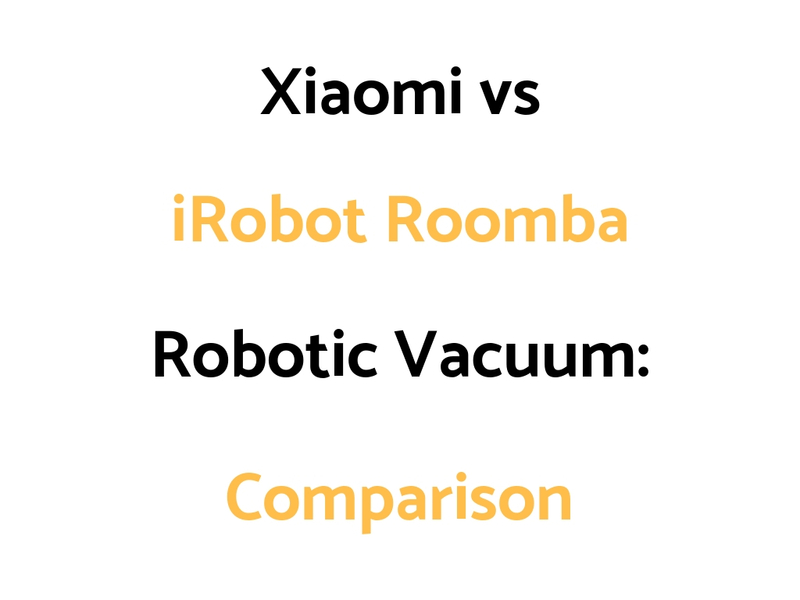 We’ve put together a Xiaomi vs iRobot Roomba Comparison Guide outlining the differences and similarities of their more popular or latest models. In terms of the Roombas, In general, the 800 and 900 series Roombas are 5x more powerful, and in some cases up to 10x more powerful than the 600 and 700 series Roombas. The 690 is the most basic model of them all – being app connected, and able to be used on floor surfaces of all types. The next step up is the 890 with up to 5x the suction power (of the 600 and 700 series’), and it also comes with a high efficiency filter and tangle free brush rollers. The next step up is the 960 which has up to 15 minutes more run time (75 minutes max), ability to do multi room cleaning, ability to recharge itself automatically and resume cleaning, provides a clean map report of areas cleaned, and provides a level of custom cleaning preferences. The 980 is the most advanced model with a run time of up to 120 minutes, up to 10x the suction power (of the 600 and 700 series’), and the ability to increase power on deep and plush carpet surfaces. So, generally – power, run time, and additional cleaning settings and features are added as you progress through the models. The 960 and 980 also have slightly larger dust container capacities as well as newer technology. The iRobot Roombas are a good option for a higher quality robo vac.